In this day and ages, there are many ways in which people access the internet, and for different reasons. We have already mentioned how this can affect the SERPs themselves. Page speed is one of the main considerations, as large files can clog up the smaller bandwidth of mobile devices. Consequently, websites need to be accessible and functional on a huge range of screen sizes and capabilities. Most websites (even old ones) are usually fine when accessed from a desktop or laptop computer. There are essentially four main options available to you in order to make your site accessible on other devices. This is Google technology and will enable your content to work seamlessly on mobile devices. 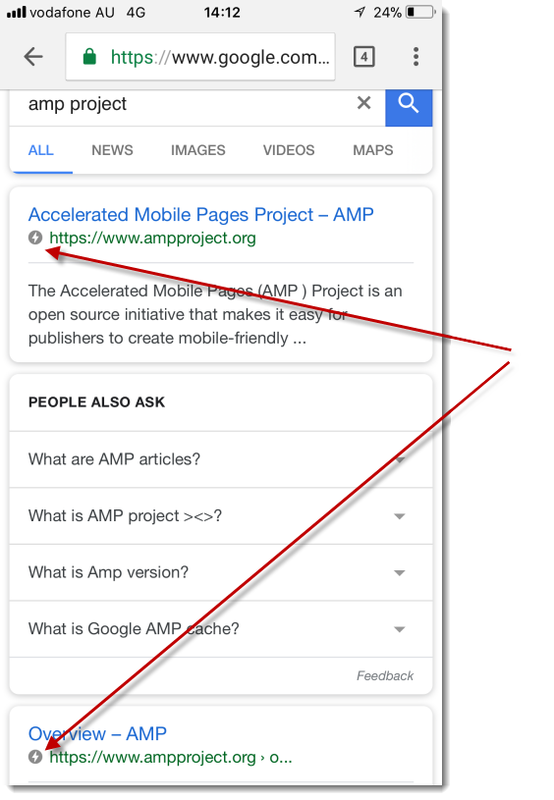 As the screenshot below shows, there is an icon in mobile SERPs that indicates the usage of this technology, which can encourage click through rate. This tech is more about where the content is hosted, in this case on Google’s servers which will make it lightening fast! This requires its own management and does not guarantee efficient use across a wide range of screen sizes; thus, it is not ideal. These two options have been bundled together as you can use them separately or you can use a combination of responsive adaptive design. These are technologies that either automatically adjust or adapt to variant versions of your site based on the device being used to access it.